The Aspen mini orange condensate pump is designed for water removal from larger wall mounted air conditioning units. The silent running mini orange pump model FP2212 contains all items to easily install this condensate pump, typical the pump itself is fitted above a false ceiling with the reservoir component being fitted directly onto the indoor unit condensate drain. 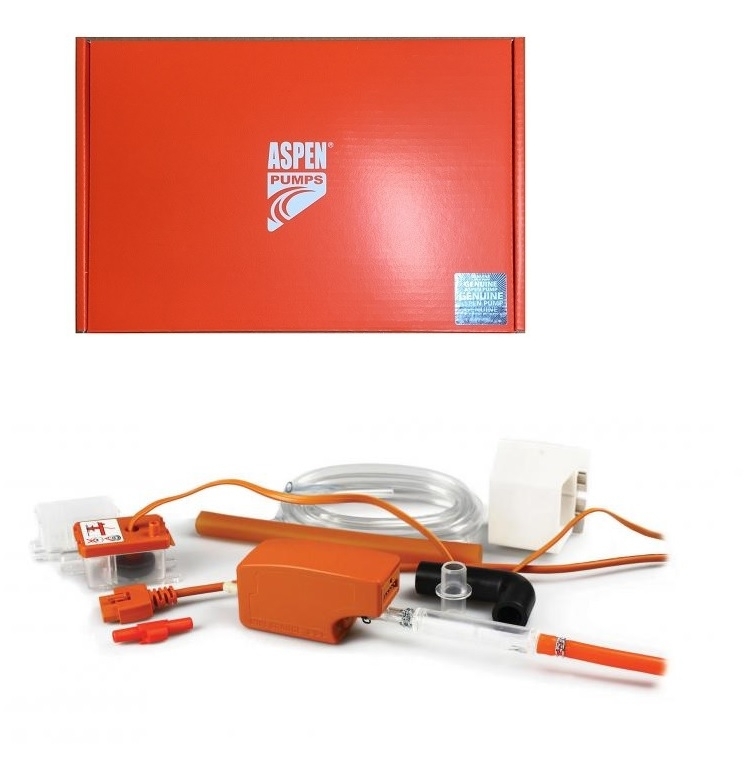 If you are looking for a reliable and quiet condensate pump the Aspen mini orange condensate pump certainly fits the bill.